From our calendar to yours comes this carefully considered agenda of cool things we are doing, wishing we could do, or conspiring to do in Vancouver from July 18 to July 24, 2018. Please note that you can now get the Scout List – with a few extra pieces of intel included – sent to your inbox every Thursday. Sign up for your subscription in the sidebar. 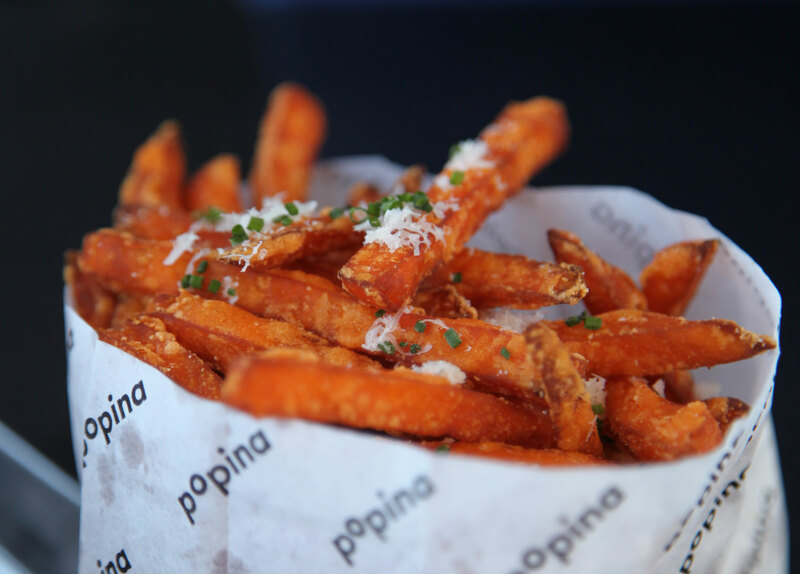 POPINA | Though they don’t have their liquor license yet, highly anticipated outdoor eatery Popina on Granville Island is open and already attracting quite the following based on their four pillars of deliciousness: burgers, fried chicken, falafel and lobster rolls. Get in there now before everyone else does! Full back story here. LOVE & FOUND | The hot weather is a great excuse to welcome some new clothing items into your wardrobe, and that’s why we’ll be checking out this consignment sale in Chinatown on Friday evening for some weekend outfit-spiration. For their first ever Vancouver pop-up event by the awesome women of Blogger Armoire and L&F have pulled together a thoughtful selection of designer and non-designer duds from brands like Aritzia, Mackage, Citizens Of Humanity, Rag & Bone and J Brand. There will also be art prints and ceramics by Studio Fundamentals to outfit your living space as well. See you there! Find out more. COMMUNITY | These long warm nights are perfect. Drink in every moment of them — eat outside, sleep outside, listen to music outside, squeeze it all in! Looking for a cool, fresh air film situation? Catch the Outdoor Movie Night hosted at the new Eastside Flea location this Friday night. From event organizers: “What’s better than sitting under the night sky, hanging with friends and watching your favourite old movie in the open air? Not having to beat the downtown crowds to do it! Watch Clueless with a DJ, patio vibes…” Seriously, how does it get any better? A food truck you say? Don’t worry – ESF has you covered: Bandidas will be there with their trusty food truck! Find out more. WANDER | Take a wander through Hastings-Sunrise on Friday night and catch the closing party for Johnny Taylor’s show at the Betamax Gallery. Afterwards, take note that Red Wagon, Camp Roma, Jackalope, Tacofino, Laksa King and Mr.Red are all within a minute or two of the gallery. Not only is the eating good hereabouts, the treelined streets and grassy parks in the area are perfect for hanging with pals. A gallery reception is such a civilized way to kick off your weekend. Looking for other things to do in the area? Check out or Hastings-Sunrise guide here. PUDDING | Looking to change-up your summertime dessert game? The creative and savvy people at Edible Projects are hosting a series of Asian dessert pop-ups in Chinatown this summer, kicking things off with Vol.03: Excellent Tofu. They’ll making from scratch Taiwenese-style “douhua” (soft tofu pudding) served cold with seasonal toppings and syrups in beautiful bowls created by local ceramic artist, James Kemp. Could keeping cool be any cooler? Find out more. OTHERWORLDLY ART | There’s an art opening at The Bakery this weekend featuring two very different Vancouver-based artists with very different perspectives on our environments. Michelle Nguyen creates otherworldly protganist-less narratives utilizing oil paints and pastels; multimedia artist Robert-David Koli creates collages that correlate the otherworldly with earthly historical events while referencing his own upbringing in Croatia. Both are commentaries on our environments and the general human experience. The opening reception goes down on Saturday night, but the gallery will be open to the public every Saturday from 3-7pm until the show wraps up on August 11th. We think it sounds like one mind-bending and visually exciting way to escape from the heat! Find out more. FARM | The UBC Farm has so many things going on this Saturday that it would be hard to cover them all in detail – so I won’t even try. In a nutshell: you can take part in a Herbs for Longevity and Vitality, or Herbs for Culinary and Medicinal Uses workshop, learn a little something at the Maya Garden during public drop in gardening sessions, check out the Seeds of Knowledge research showcase & beet tasting, take a farm tour, and/or load up on fresh fruits and veggies at the farmers market. A day at the UBC Farm is like a vacation in the country. Pack sunscreen and water. Find out more. FIX | Gather your unravelling sweaters, ripped jeans, buttonless blouses and tattered t-shirt and make your way to The Mount Pleasant Library on Sunday for a fixing party. A team of handy peeps from Frameworq will be at this free, drop-in event to lend their patching, darning and stitching know-how and help you fix your stuff so that you can reintroduce it into your life as if it were brand new! Find out more. STARS | The Perseid meteor shower is visible from now to mid-August each year (the peak is Aug. 11-13). The most pronounced activity goes down in the pre-dawn hours, and under the right conditions (open sky free of light noise is the right play for maximum viewing) you can expect to see 60-100 meteors per hour right now. If you want to really get in to it with telescopes, guided walks and information sessions, plan to hustle out to Aldergrove for a Meteor Shower Watch & Walk with the Royal Astronomical Society of Canada next month (details). For now – find a quiet place with a clear bit of sky and tune out everything until you catch a little bit of amazing in the heavens. Find out more. WHISTLER | Looking for an excuse to run away to Whistler? Vallea Lumina is it. This cool new immersive experiences takes you on a multimedia nightwalk through Whistler’s Cougar Mountain. Participants meander their way through a 1.5km long forest trail studded with emotive lights, videos installations, and scenography, that are enhanced by soundscapes (and the already impressive natural surrounds. Cougar Mountain is a quick eight minute (complimentary) shuttle north of Whistler Village and the entire tour takes approximately 60 minutes to complete. Vallea Lumina costs $29 and runs daily until October 15th 2018. Find out more. An agenda of the things we are doing, wishing we could do, or are conspiring to do in Vancouver from April 10 to April 16, 2019. An agenda of the things we are doing, wishing we could do, or are conspiring to do in Vancouver from April 3 to April 9, 2019. An agenda of the things we are doing, wishing we could do, or are conspiring to do in Vancouver from Mar. 27 to Apr. 2, 2019.